Piggy-backing off an idea devised by a couple of bloggers far more established than myself, today I am taking the The Pet Blogger Challenge by answering the following questions and participating in a little self-reflection. Not long ago! The first substantive posts were in September 2010, so I’ve only got 3 months under my belt. In that time, I fired off 36 posts of varying degrees of quality and quantity. Curiosity and boredom, really. I had various ideas for writing topics and both wanted to see how they’d turn out and wanted a place to share final products (other than Facebook Notes). I’m more productive when kept busy, and this was a way to keep busy and research things that interest me. Yes and no. My topics are still entirely selfishly motivated, but I’ve also added a do-gooder element, attempting to raise awareness on various issues and start some things. Most notably, I’m using the blog to try to get retail pet sales banned here in Calgary. Success is yet to be achieved, but I’ve at least garnered a little bit of attention and comment. I’ll continue that endeavour this year as well. I also have a minority of posts on non-pet rants and raves, which I will continue to use to blow off steam about a variety of subjects as I deem necessary. Part of column A, part of column B. I tried playing around with which days of the week obtain the most traffic for new posts, and really haven’t found a sweet spot. Instead, I aim for 1-2 posts per week, or a minimum of 6 per month. 2010 was well above that, but I had some archived material. 2011 is all newly generated stuff so I have given myself a goal minimum. I do worry that too few posts will lose traffic – I read somewhere that people should always find new material when they visit your blog. This would be great advice if I knew how often the average person visited. Then again, knowing where the majority of my readership comes from (Facebook, Twitter, Subscribers, friends), people tend to just visit when I have a new post up anyway. Also, I don’t want to leave it too long between posts or my own interest might die off. And I’d like to keep it a current and updated resource for visitors. If so, how (e.g. sponsor ads, affiliate relationships, spokesperson opportunities)? If not currently, do you hope to in the future — and how? Nope. And I have no goal to do so (wouldn’t an official sponsor ultimately censor me?). But if anyone would like to just give me money, I would be happy to take it. I have a PayPal account and accept funds in $100 CDN denominations. I look forward to hearing from you. I like blogging as a way to sort through my own thoughts on various topics, and as a way to get information (and my own opinion) out there, whether or not its read. I like my blog personally because even though I have the tendency to go on writing much longer than the average blogger, I think what I’ve got to say is well-researched and well thought out. I’ve also learned than in mere months of blogging, I sure can stir it up and find controversy, which I personally found pretty entertaining and interesting. I feel like I’m still finding my exact niche. As I mentioned before, I write a lot, with a couple of posts upwards of 5000 words, and it’s unlikely to expect someone to read the whole thing. I have a background in academic writing, not journalism, and I am aware successful bloggers are more akin to the latter. So I’m working on it. Also, while it may seem my blog is canine-dedicated, I didn’t intend for that and the layout and just physical appearance really doesn’t suggest that. Often, I simply don’t care, but at other times I wonder if I should be running two blogs – one on dog stuff, and the other on miscellaneous rants and raves. Then again, the likelihood that I would maintain two to the same extent is slim to none, so I abandon that idea as soon as I think of it. While this format isn’t ideal, it’s not likely to change. My blog may change, and I hope it will improve, but exactly how I can’t predict. I hope to make the same or better use of it, and I hope my style and voice will improve. Obviously, growth in readership would be pretty great. Love your response to #5! Yes, anyone willing to send me money can do so too 🙂 I’m a new WordPress subscriber…thanks for sharing more about your blog! 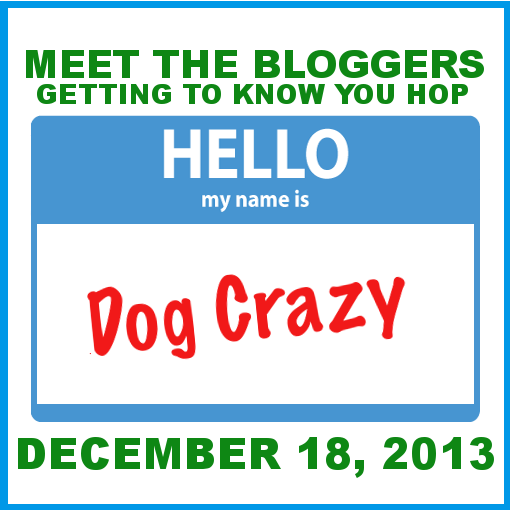 Stopping by on the hop… enjoyed reading your answers! You can definitely count me in on the 15th! It was essentially October 2010’s BtC that prompted me to start advocating for the ban in the first place. Wow! You’ve been quite ambitious since beginning not long ago. Brava! I’m happy to hear BtC inspired you. 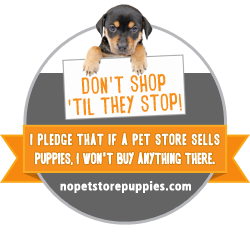 Please know that promoting a ban on pet sales inspires us in return. (Amy and I are BtC c-founders so I can say that with confidence on her behalf too.) We’ll see you on the 15th! Big fan, by the way! 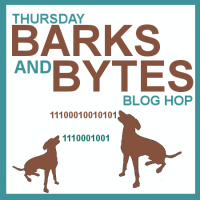 Banning the retail sales of pets sounds like one of the best reasons to blog. Glad I have found you through the challenge. Nice to meet you! Thanks for joining the challenge. Great way to put it about the “income”! lol I, too, have a tendency to write long, it’s been quite an exercise for me to keep it short and simple! I look forward to reading your writing! You have certainly crafted a blog here that strongly shares your voice. I suspect that I’m not the only reader who disagrees with your support of Cesar Millan’s work but I was really impressed by your post on the topic. You stated your opinion and encouraged a good dialogue. I think that’s what good blogging is all about. Glad you participated in the challenge.